← Open house was a success! 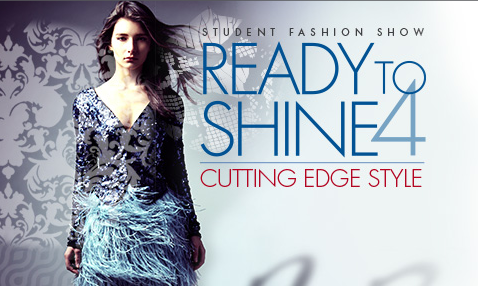 Every year, MC College is a proud sponsor of Kingsway Mall’s Ready To Shine Design Challenge and Student Fashion Show. At this event, Fashion Studies student teams from 8 Edmonton High Schools design a clothing collection which is modeled by local media celebrities and High School students at a fashion show. From flowy evening gowns to fringe detailed skirts and dresses made out of recycled materials, High School students beamed with excitement as they showcased their months of hard work. The show, held at Kingsway Mall, was sold out to an audience of families, friends, shoppers, fashion enthusiasts and media reporters. The clothing pieces were modelled by fellow High School students and local media celebrities such as: Shannon Greer (Global TV), Jodie Sinnema (Edmonton Journal), Ziyah kamli (City TV), Gillian Foote (The Bear 100.3FM), Arlysse Wuttune (CFWE-FM), Pamela Roth (Edmonton Sun), Stacey Brotzel (CTV Edmonton) and Kimberly Wybb (CTV Edmonton). Months prior to the fashion show, the students were given a mystery box containing materials such as: metal washers, black mesh, glass and ceramic tiles, and paint rollers. Using these materials, along with fabric donated by Estee’s fabrics & notions, they had to create unique, themed clothing pieces. 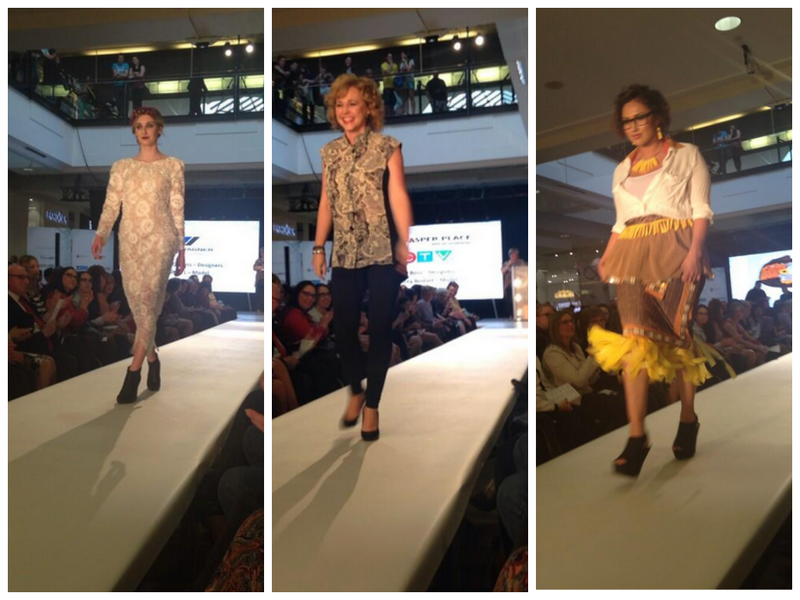 The themes included: evening, casual, party and fashion pieces that were entirely made out of recycled materials. 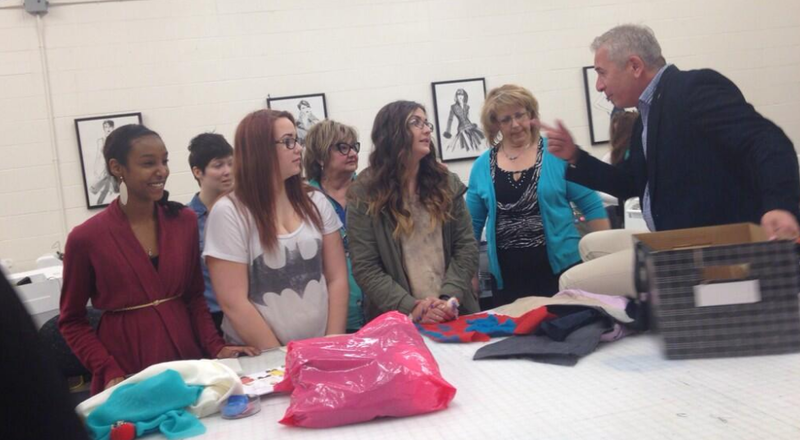 Throughout the design process, John Chwyl (Marketing Director at Kingsway Mall) and MC College Fashion Design Instructors, Alisha Schick, Tammy Wells and Erin Monagham, critiqued the students’ work and gave them valuable design and styling advice. 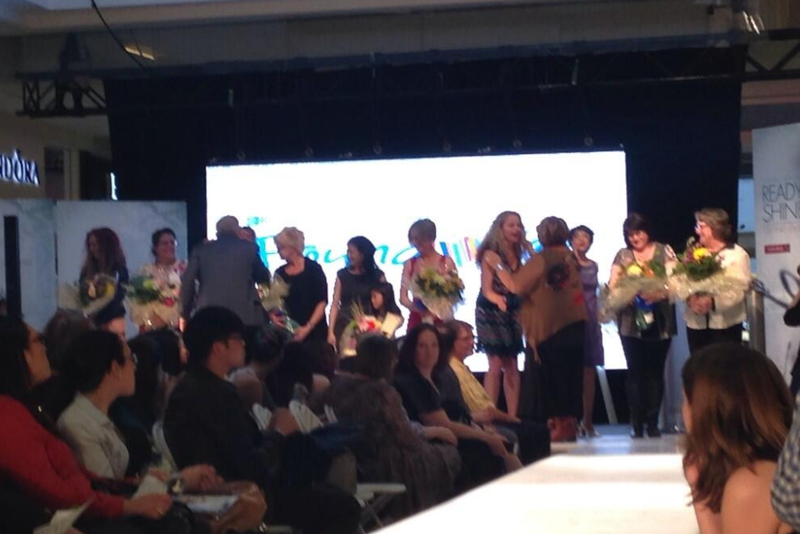 Congratulations to the following High Schools and Fashion Studies teachers: Amiskwaciy (Laurie Sorenson), Ross Shepard (Terri Tout), LY Cairnes (Susan Saunders and Niki Wiese) , Harry Ainlay (Terry-Lynn Hyland), Jasper Place (Cheryl Boos), WP Wagner (Lynne Fenton), McNally High School (Jodie Kachkar) and M.E Lazerte (Janet Dahl-Freeman and Stella Hui-Ngo). You did a beautiful job with the collection and fashion show! ‘Ready To Shine’ is a fundraising partnership with Kingsway mall and the Edmonton Public School Foundation to showcase young fashion designers and their creative minds. All the proceeds go to the Edmonton Public Schools Foundation’s full day kindergarten program in schools located in vulnerable social areas.